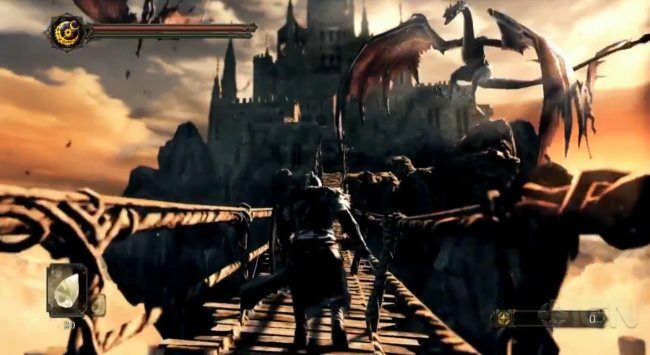 In a very crowded genre, Dark Souls 2 and its earlier iterations, Dark Souls and Demon’s souls stand out. Where most RPGs today literally handhold the player like a toddler, Dark Souls might even be termed as difficult. Starting out, be prepared to die a couple of times before you get a feel of the game and its controls. Starting out might feel quite daunting, but once you pass the initial hurdle, a world rich in lore and characters is out there for you to explore. Dark Souls above all asks for your undivided attention. Most enemy NPC’s can and will kill you if you do not pay attention and learn to exploit their attack patterns and weak spots. But with a atmosphere bursting with character and rich lore, this is one game you will be glad that you decided to try out. Praise the Sun. If it is depth of the lore behind the character or the believable world that draws you to a game, then look no further than the Witcher 2. Very few games can tell a story the way the Witcher series does. The game world is filled with characters, real characters which you can really associate with as the story progresses. You play as Geralt of Rivia, a master swordsman and professional monster hunter; recovering from amnesia and trying to clear his name from a charge of regicide. As you progress, you can witness firsthand the impact of the decisions you made during the game has on the world arnound you. And it is the very manner in which the Wicher conveys the impact of your choices on the world at large means that a single playthrough is almost never enough to fully experience the myriad of decisions and the characters that await your exploration. 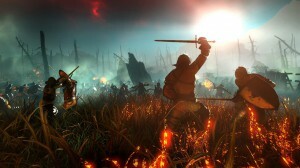 If you haven’t tried out the Witcher games by now, now is any good time as any with the Witcher 3 coming out in May. Carrying forward the spiritual legacy of System Shock and the Bioshock universe, Infinite does a really commendable job in creating what is probably one of the best atmospheres of recent games. 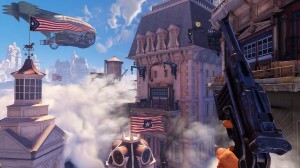 Bioshock put you in Rapture, a dystopic underwater city and Infinte carries the idea literally into the clouds, in the shape of Cloumbia, a city floating in the clouds. Of course, it would not be a Bioshock without the characters themselves. And Infinite is no slouch in this regard either. With Elizabeth, an NPC who is along with you every step of the way; Infinite makes sure that her story is something which will touch you deeply as you try and untangle the tale of the city itself. And with an ending that is sure to stay with you for a long time, Bioshock: Infinite is a must play.